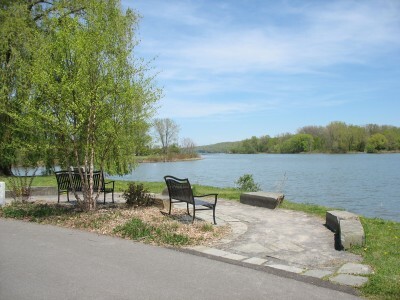 Ithaca and Tompkins County are located in the beautiful Finger Lakes region of New York State. The Tompkins County Office for the Aging (TCOFA) is the community’s hub of information about programs and services available for the over 16,000 older adults who live in the area. TCOFA offers services to older adults directly and through contracts with local service providers. Programs and services include but are not limited to: information and referral, home delivered and congregate meals, in-home aide services, transportation, volunteer home visiting, personal emergency response systems, home repair, legal services, health insurance counseling, caregiver services, and health and wellness activities. TCOFA has a 15 member Advisory Committee made up of older adults which meets monthly. Advisory Committee members are recruited from the various municipalities in Tompkins County, and there is diversity across age, race, gender, income, ability and living arrangement. Advisory Committee members offer input to TCOFA on policies and programs which affect older adults in our community, and are highly engaged in the Ithaca Age-Friendly planning and process. There are also a number of other collaborative and locally-mobilized resources for older adults, including Gadabout, the volunteer-supported senior and ADA Paratransit transportation provider. In addition, the presence of local educational institutions offers rich inter-generational opportunities within the community. One such example is Project Generations, a student-led volunteer organization active at both Ithaca College and Cornell, which engages over 90 students each year in weekly visits with homebound older adults. The Ithaca College Gerontology Institute has implemented an active program of continuing education for community practitioners and student service learning for two decades. Conversely, the presence of the large student population creates a high demand for housing in the City of Ithaca and surrounding communities, and there is a lack of affordable housing options to meet the needs of the aging population. In addition, the rural nature of Tompkins County leads to transportation challenges, and social isolation is an issue for many older adults. In the hopes of addressing these and other topics, TCOFA engaged the community in a strategic planning process on aging in 2014, convening focus groups on the following topics: Civic Engagement and Volunteerism, Housing, Mental Health, Transportation, Long Term Care, Economic Security and Employment, Medical Care, and Financial Exploitation and Elder Abuse. Each group held a structured and facilitated discussion about our community’s strengths, needs and recommendations for action. Over 145 individuals engaged in these discussions, offering a diversity of perspectives. Participants included older adults, business leaders, municipal officials, service providers, housing developers, law enforcement, gerontologists, clinicians, lawyers and advocates. A few examples of recommendations for action include: multiple advocacy initiatives to promote and streamline the development of new housing, and organizing efforts to form a “Village” organization to provide care for elders within a defined geographic location. The strategic planning focus groups of 2014 provide the basis for ongoing planning and implementation. TCOFA will work to continue and enhance participation in these efforts. To date, the following departments and sectors have expressed interest and support: Ithaca College, Cornell University, City of Ithaca and Tompkins County Planning Departments, Ithaca Tompkins County Transportation Council, Ithaca Downtown Business Alliance, Tompkins Workforce Investment Board, the Human Services Coalition, the Finger Lakes Independence Center and the Chamber of Commerce. We are enthusiastic about continuing to make Tompkins County more Age Friendly, learning from other communities, and sharing our findings and best practices as we move forward.